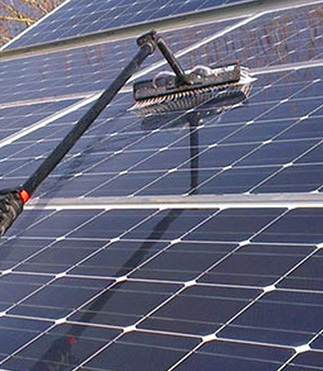 The efficiency of solar panels can be significantly compromised by surface dirt. Dirt on the Solar Panels prevents a percentage of sunlight from hitting the Solar Cells. This in turn generates less electricity over time (as dirt accumulates). As a result, you receive less financial benefit from the Panels, reducing their ROI and reducing the positive effect of this ‘Green energy’ source. At Spotless MK we use our pole fed water system to clean solar panels, which means that we can efficiently clean the panels safely. 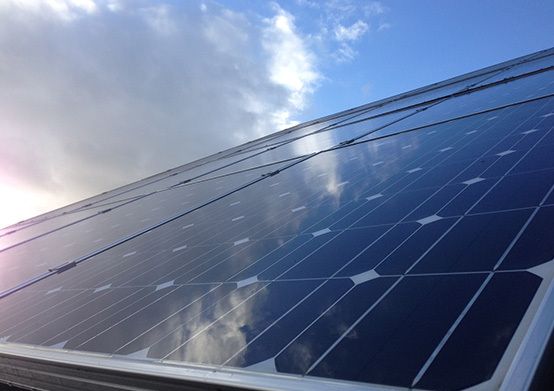 Once all the dirt & dust is removed from your panels, we then rinse them with pure water. By using the pure water in our water fed pole system you can be sure that no soap residue or streaking will be left behind to inhibit panel performance, leaving your solar panels working at one hundred percent efficiency. Once we have completed our service, we then carry out a final check to ensure that we are happy with the standard. It is only at this point that we give you our satisfaction guarantee.